There are approximately 4 million newborns annually in the United States, including 400,000 infants born preterm. This care occurs in nurseries of all acuity levels, sizes, and regions across the country and is provided by a variety of providers, including pediatricians, family practice doctors, nurse practitioners, and physician assistants. The most common complication during the newborn period is suspected or proven infection – either those acquired during the delivery itself or before delivery in the womb. Indeed, 4 of the 8 most commonly-prescribed medications in newborns annually are antibiotics. Therefore, these providers must all be knowledgeable about the clinical presentation, epidemiology, and approach to diagnosis, treatment and prevention of neonatal infections. However, many of these nurseries do not have convenient access to pediatric infectious disease consultation or support, and would benefit from a convenient reference guide. 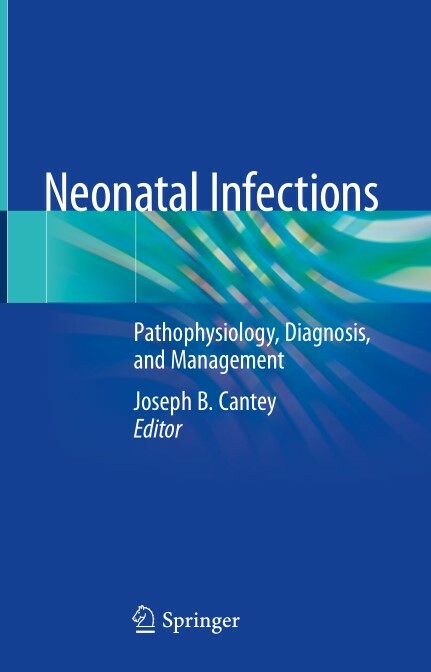 This book effectively and succinctly covers the pathophysiology, epidemiology, clinical presentation, approach to diagnosis and treatment, and important aspects of preventative care for the most frequently encountered neonatal and congenital infections. The first section discusses common neonatal infections (i.e., those acquired during or after delivery), including sepsis, meningitis, pneumonia, and other focal infections. The second section covers the most frequently encountered congenital infections (i.e., those acquired via the placenta while the fetus is still in-utero). Finally, the concluding section discusses the basics of infection prevention in the nursery setting, including general principles of infection prevention, how to apply those principles to families, and how to manage a suspected outbreak of infection within a nursery. This book is a unique contribution to the field. Existing texts such as the AAP Red Book fold neonatal infections in within chapters on a given pathogen, but the information is difficult to find and access quickly. By covering neonatal and congenital infections thoroughly while still keeping each section clear and concise, this Handbook will be a valuable resource for the busy nursery provider.